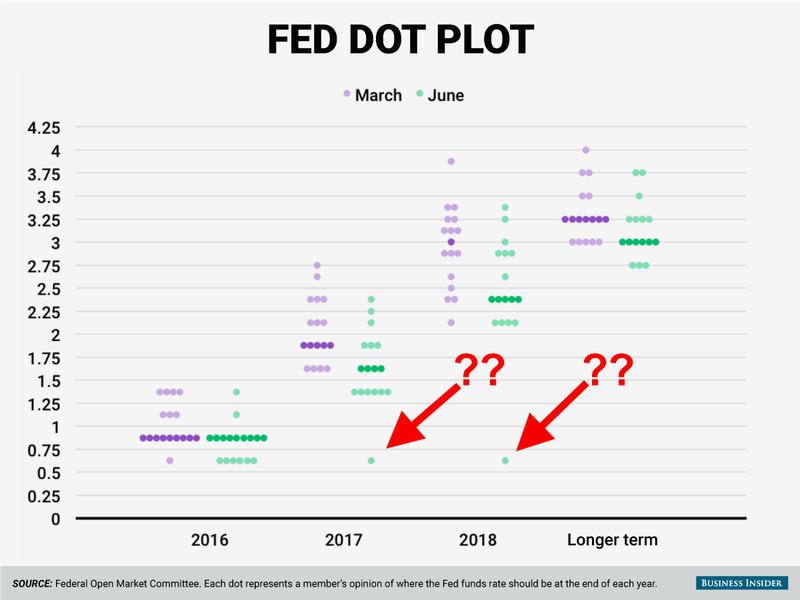 Along with the Federal Reserve’s latest monetary policy statement (in which the Fed kept rates pegged at 0.25%-0.50%), the Fed also submitted its latest “dot plot,” which is a forecast from each of the Fed’s 17 members. But something curious happened this time around. 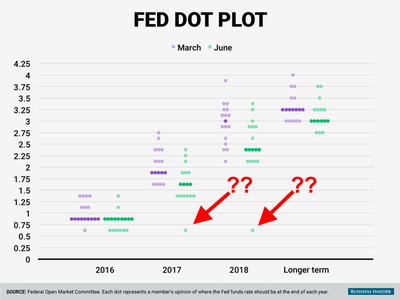 For one thing, with markets expecting no more rate hikes in 2016, the dots showed that every Fed official expects at least one more 0.25% rate hike this year. Additionally, one Fed official then projected it would not be appropriate for the Fed to raise interest rates in 2017 or 2018. And what’s more, one official declined to give a projection for where interest rates are likely to be over the longer-run. Of note here is that the “dot” submitted by Fed officials is the midpoint of their expectation for future rates. So these dots aren’t so much a forecast as an expectation of what the appropriate policy rate will most likely be. And while we don’t know the identity of the official who declined to give a longer-term forecast, I’d venture a guess it’s the same official who, in a show of attempted humility (or protest! ), tried their best to express the thing we all know is true: no one knows the future.